Two separate incidents of alleged assault on village women by Central Reserve Police Force (CRPF) jawans have triggered a spate of protests in the adjoining districts of West and East Singhbhum – both districts are, according to the Central Government, among districts worst affected by Left Wing Extremism. In both areas, villagers and tribal leaders have renewed their demand for removal of the CRPF camps. Senior CRPF and police officials said enquiries were on against the accused jawans, but termed the demands politically motivated. On September 24, Sumati Gop (19) (name changed) accused a jawan of Battalion 174 of attempting to assault her when she had gone to bathe in a stream in Salihatu village in Chaibasa in West Singhbhum. Two days later, a 15-year-old girl in Pathragoda village near Musabani in East Singhbhum accused three CRPF jawans of 193 Battalion of forcing her to strip, after which they took photographs and a video. Vikas Kumar, a college student from near Patriatu in Jharkhand, made an unsuccessful attempt to ride his motorcycle through the blockade at Nagri. “Today [Monday] is the last date to submit my MBA admission form,” he pleaded with the adivasi children half his height who stood in the way with sticks in their hands. “Show us proof,” demanded Nishant Topo, a student of Class VII from a village school nearby. 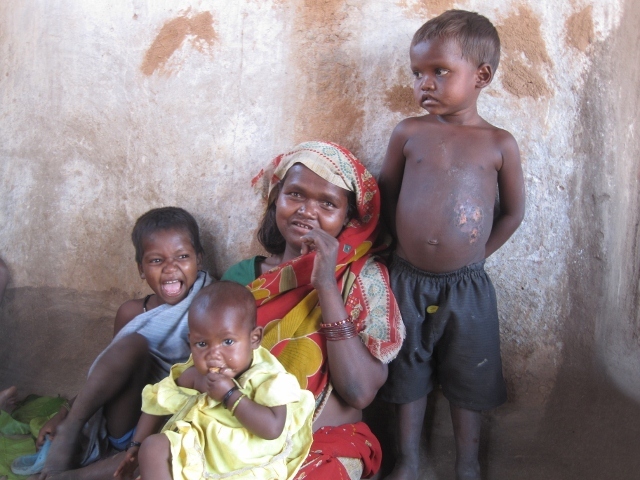 Nagri, a tribal village 15 km north of Ranchi, has been on the boil since this past July. On Monday the tribals declared an eight-hour bandh and blocked the roads in protest against the government acquisition of 227 acres of these paddy farmers’ land to build the Ranchi campuses of the elite Indian Institute of Management, Indian Institute of Information Technology and the National University of Study & Research in Law (NUSRL). 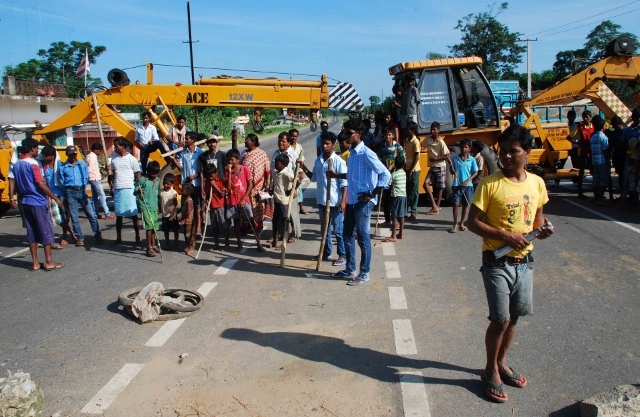 At 7 a.m., Topo, his school friends Abhishek Oraon and Chandan Oraon, and a dozen other children ranging in age from six to ten years began taking turns with their parents to enforce an eight-hour road blockade to protest acquisition of their farmland. “ Sarkar ko taqleef milega [This will inconvenience the Government],” said Topo (11). Three hours later, the police broke the blockade and detained eight persons. The Government claims it acquired the land from them in 1957-58 to build an extension to Birsa Agricultural University. However, villagers say they first heard of any such proposal only last year – that, too, when they went to local officials to enquire why they were not being compensated for the 13 acres on which the Government had built an extension to the Ranchi Ring Road. A Right to Information application revealed that of the 153 families to whom the Government had offered a total compensation of Rs.1,55,147 in 1957, only 25 took it at a rate of Rs.2,700 per acre. The rest refused to give up their land. “Government papers show that they took the land under clause 17 (4) of the Land Acquisition Act, which is for situations of urgency such as a railway line or an airport. If it was an emergency, why has it taken the Government 50 years to start work? There is 1,900-acre wasteland nearby in Kanke. Why can’t the Government use that instead?” asks tribal activist Dayamani Barla. Nagri’s farmers grow paddy, wheat, gram, vegetables and keep cattle. “One acre yields over 80 mann [over 3,200 kg)] of paddy, which is enough food and fodder to last us two years. This land is enough to sustain our generations and pay for our children’s education,” said Parveen Topa Oraon. “If Nagri land goes, tomorrow ours will go too. This Government is forcefully taking everyone’s land in the name of a new Ranchi, greater Ranchi,” said Gunni Oraon from Chaura Toli village, one of 35 villages that support Nagri’s protest. From March to June, the villagers sat on a peaceful protest in their fields. In July, when the Government started building a boundary wall on the proposed campuses they demolished the wall and fought the police with sticks and catapults. Last month, former Chief Minister Babulal Marandi of Jharkhand Vikas Morcha (Prajatantrik) led a protest in which thousands tried to cross the police barricade outside the State Assembly, leading to the death of one person. The issue has continuously escalated and become a symbol of Jharkhand’s people resistance to large-scale land acquisition even as the High Court ruled in favour of the Government. The Supreme Court turned down Nagri villagers’ appeal in June. “The Chief Justice of the High Court is also the Chancellor of NUSRL. This is a conflict of interest,” alleged Jharkhand Human Rights Movement general secretary Gladson Dungdung . 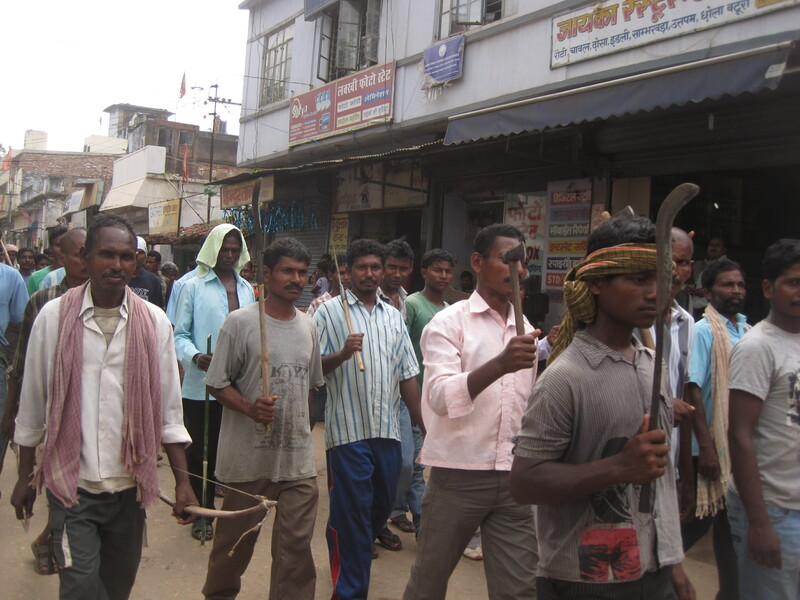 The Arjun Munda government has since set up a five-member committee to look into the issue. “The families flatly refused to take compensation. We have included that in our report. It is now with the Chief Minister’s Office,” said Revenue Minister Mathura Prasad Mahto, who headed the committee. The report may be presented before the High Court this Wednesday.